It’s that time of year again – NAB 2019 – new features, new gear, new news (announced but unreleased) and fresh discounts on all your favourite post production products, services and training. Plus a ton of great presentations and demos arriving online (and in person if you’re in Las Vegas April 6th-11th) – scroll down to the last section of this post for some not-to-be-missed events! I’ll be updating this post every day during the next week so check back often for more updates and time-limited promo codes. Many of these will drop on Saturday 6th and Monday 8th, so be sure to check back then so as not to miss out. If you spot something I’ve not included, or you’re a brand looking to be added to the post, just hit the comments or drop me an email. Here is a list of deals from last year in case you’re wondering if your favourite brand might run an offer this year. If you’re reading this after NAB and missed out on these deals then fear not! Hop over to this collection of year-round discounts and promo codes, offered exclusively through the blog. I’ll try to keep this to skim-able headlines only level of detail, so you can get a sense of the overall picture from NAB 2019, in one quick hit. But click through on the links for further reading. After the dust settles from NAB I’ll no doubt do some more in-depth articles on some of the most interesting announcements. Blackmagic Design – To no one’s surprise DaVinci Resolve 16 is here, but it did come with some interesting surprises of its own. Download the public beta here. But be warned it will overwrite your existing installation! Fusion 16 – To my surprise they have continued to develop the standalone version of Fusion with some of the improvements from DaVinci Resolve and the benefit of having access to the full weight of Blackmagic Design’s epic development team. It will be interesting to see if this will be phased out as Fusion is moved ‘wholesale’ into DaVinci Resolve in the same way that Fairlight was. If you’re interested in learning more about Fusion in DaVinci Resolve check out this post on the best online Fusion training available today. The new Teranex Mini SDI to HDMI 8K HDR also looks very interesting with built-in dual on-screen scope overlays, HDR, 33 point 3D LUTs and monitor calibration. Click to download 4K image. So if you want to drop $995 on an all metal custom DaVinci Resolve keyboard, that has some serious retro styling then in August 2019 you will be able to. You’d hope for that price they’d throw in a Studio license of DaVinci Resolve given that it will cost $30 less than a Micro colour grading control panel. But maybe not. If you want to see it in close up, download the high res images from this official press release. Adobe Creative Video Apps – The new content aware fill in After Effects is getting all the attention although there are a lot of other interesting additions too, including new Free Form layouts (basically like Storyboard layouts in FCP7/Avid) for thumbnails in the bin and other useful new features. Here’s where you can read through Adobe’s official blogs for all the new features in all of their creative apps. What’s new in Adobe Premiere Pro CC April 2019 in just over 3 minutes. Also it’s worth noting that those content aware fill cache files can get pretty big though. Click to see Media Composer’s new UI close up! It’s interesting to see that Avid are really trying to position their brand as being on the side of high end content creators more than just focusing on feature updates. If things don’t change, people complain, if things do change, people complain. There are differences, people should try it before passing judgment. To get a look at the new UI for yourself, check out this official blog post which includes several high res images and more details on all the new features. FCPX 10.4.6 Update – Mostly a bug fix release but crucially also “Detects media files that may be incompatible with future versions of macOS after Mojave and converts them to a compatible format.” More details here. Frame.io – The popular video collaboration and review service announced a new integration with DaVinci Resolve 16, as well as a new developer platform API and Zapier integration. Zapier will allow you to build connected workflows using any of their 1300 supported apps. There are also seven other pre-built integrations to get started with including Kyno, Silverstack Lab, ShotPut Pro, SnapStream, Gnarbox, LumaTouch and Restream.io. Wipster.io – Have released a new update to their platform, adding comprehensive waveform based audio review and collaboration tools, ideal for anyone looking to take advantage of the podcasting boom! The new functionality supports wav, mp3 and m4a files and generates waveforms for any uploaded audio, allowing you to comment on them with accuracy. Kollaborate – An online video review services are previewing the next version (3.0) of their platform which includes automatic transcripts generated by machine learning, easy-to-use Amazon Glacier based file archival, comment attachments and more. If you’re at NAB in person, stop by the booth and pick up a coupon card and say I sent you! This blog post from Digital Rebellion will also update you on what’s new across their post app eco-system. Maxon/Redshift – Maxon acquired RedShift but will leave it to do it’s own thing for the time being. This will be a big deal to any Cinema 4D users. G-Tech – Announced a new hard drive designed for the outdoors called the ArmorATD. A USB 3.1 drive it will ship in 1, 2 and 4TB capacities. Lacie – Announced the Rugged RAID Shuttle with 8TB of capacity. It has a USB-C 3.1 connector with Thunderbolt 3 compatibility. The Lacie 2big RAID now also offers up to 16TB of secure, speedy storage. Again with a USB-C connector. Pond 5 – Have introduced a new premium collection shot entirely on RED cameras for anyone in need of high resolution cinematic stock footage, which gives you more room to resize and re-frame each shot. Also if you’re a RED filmmaker yourself you might want to get in on the action and start selling your spare footage. Support for Apple #ProResRAW shipping on monday! Be sure to check back on this post from Saturday 6th and Monday 8th for some more great deals! FilmConvert – Are offering 1/3 off FilmConvert, their excellent in-app colour grading plugin. You can also save a further 10% on top by using this affiliate link. Check out my detailed review and how-to here for more details. 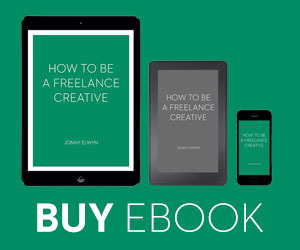 Inside The Edit – Save 25% on all subscriptions to one of the most comprehensive editing training courses available online, with the promo code ‘NABJE or ‘JONNYELWYN’. To learn more about what makes Inside The Edit so special, check out this previous post. Rampant Design Tools – Are offering up to 60% off individual products and even better deals on specific bundles. For example the Ultimate Style Collection Vol 1 is only $99 down from $1014! 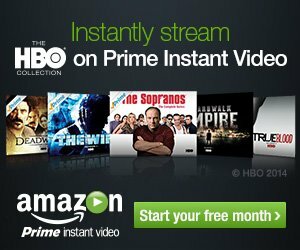 Ripple Training – Have hefty discounts on their DaVinci Resolve Certification Bundle (normally $139 but $79 with coupon code: resolve-now) and Warp Speed Fusion training (usually $99 but $59 with discount code: fusion-ready) until April 15th. Use the coupon codes in bold to secure these great savings. I recently reviewed Ripple’s Fusion training here. 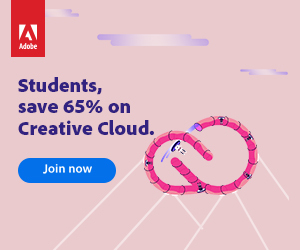 Adobe Creative Cloud – In the UK their plans seem to be discounted until the 11th April and hopefully the US will follow too, with an All-App Creative Cloud plan on sale for £39.95, down from £49.95 a month. Divergent Media – Save 25% on all of their products including EditReady 2 and ScopeBox until April 19th with the code DMNAB2019. I’ve previously written about how useful EditReady 2 is here. ToolFarm – This online warehouse of tons of post-industry plugins and apps has it’s own growing list of NAB sales which you can browse here, including 25% off Video CoPilot products, 30% off CoreMelt’s popular FCPX plugins and 50% off Boris Continuum, Sapphire and Mocha. Pixel Tools – Get 30% off Pixel Tools new PowerGrades pack for DaVinci Resolve with the coupon code NAB2019. I recently reviewed the new PowerGrade collection here. Time In Pixels – The makers of Nobe Color Remap, Nobe Display and the False Color Plugin are offering up to 40% off their products during NAB. Learn more about Nobe Color Remap here. FxFactory – Are offering 50% off PhotoMontage until Thursday 11th of April. Just click this link to apply the discount. ?? SALE ?? SALE ?? SALE ?? Today is the day! – The NAB HALF PRICE SALE is LIVE! RAMMA post production rendering support software. Check back for more discounts daily during NAB! The Faster Together stage from LumaForge was one of the highlights on NAB 2018 for me (as someone who experiences NAB online!) with a huge range of really thought-provoking and excellent presentations from a wide range of post production experts. Check out this post for the Best Post Production Presentations from NAB 2018. This year they are back with one great night at NAB, helping to rescue the Supermeet from extinction and the ‘world-famous’ raffle which currently has well over $50,000 worth of prizes to be won. 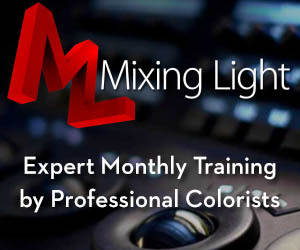 Mixing Light.com, one of the best online training providers for colour grading, will be delivering some in-person instruction which aims to stretch professionals in their careers, with ‘higher than intro level’ presentations. Their line up includes the three Mixing Light founders; Robbie Carman, Patrick Inhofer and Dan Moran as well as other Mixing Light contributors and working colorists. Check out all the details here.